Race Around with Hot Wheels High Jump Frenzy! My husband is a big car guy. Therefore, my son wants to be just like dad. He wants to drive a car, go fast and be in control. With his new Hot Wheels High Jump Frenzy car! 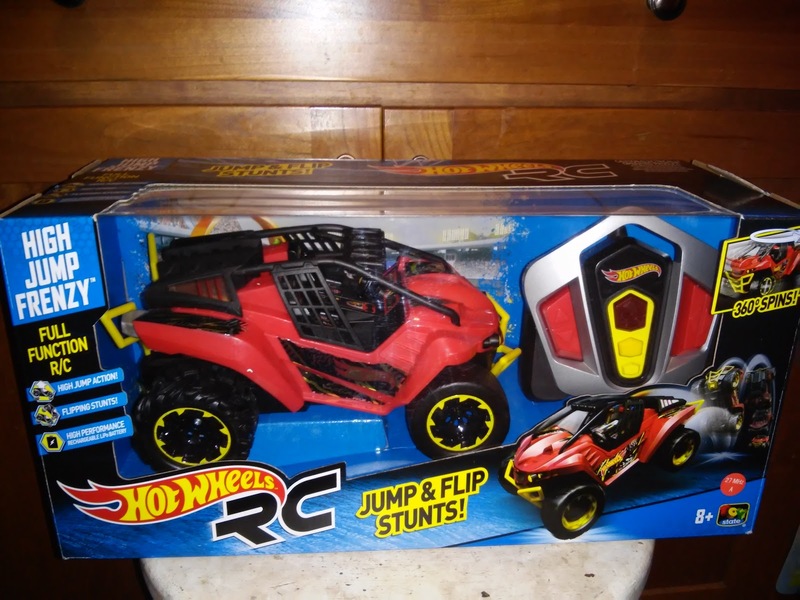 This fun car features custom styles and full-function R/C driving action with a dramatic 'high jump' feature. Push the button during the R/C drive sequence to trigger the jumping feature, and watch the vehicle roll back onto its wheels! This car is really fun to drive around for all ages (even I had to have a turn!) 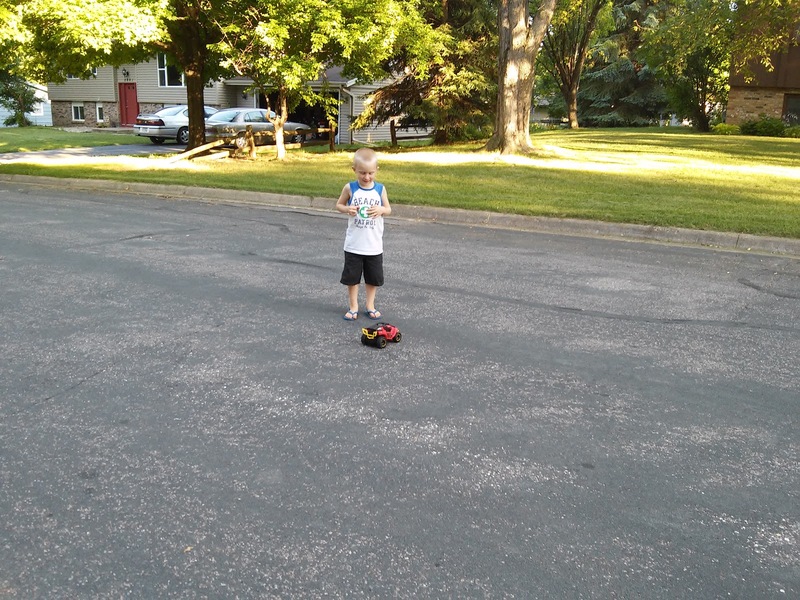 and we have the perfect quiet neighborhood and road to drive it around on for hours! I absolutely LOVE that it uses and includes a rechargeable battery and wall charger. It really saves on batteries. However, the controller requires 3 AAA batteries which are not included. My whole family had a blast driving around this car and watching it flip in the air and keep on going! 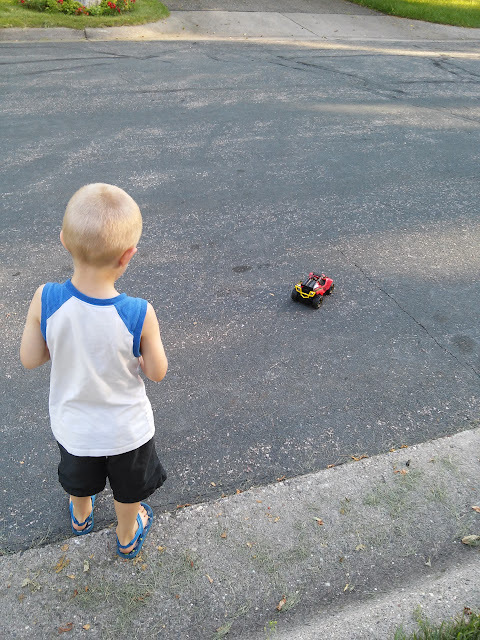 We had races up and down the street, chased it around and watched it flip for hours! You can purchase the Hot Wheels High Jump Frenzy car for $47.49 from Kmart.